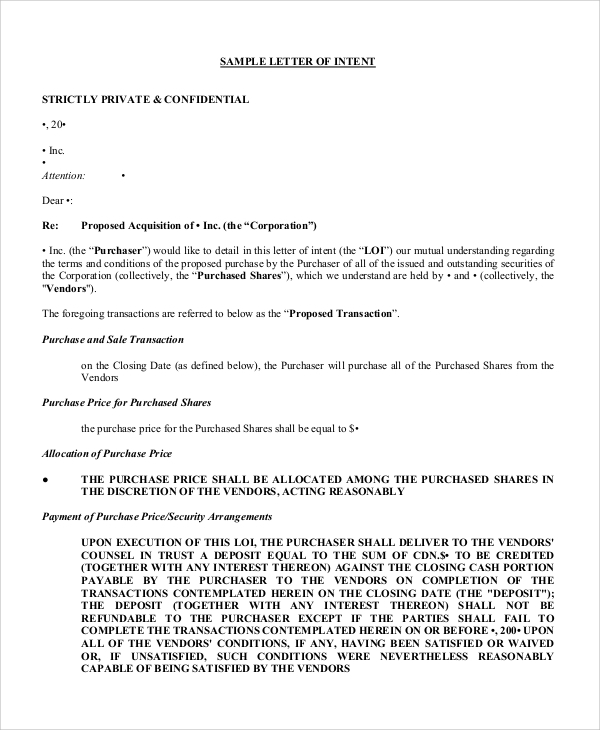 Letter of Intent, which is often abbreviated as LOI, should be considered as an important document that comes with a declaration of intent of the writer. These kinds of letters are often written for professional purposes. In the case of personal reasons, writing a letter of intent is relatively rare. However, still, use of the letter of intent can be found for personal purposes. 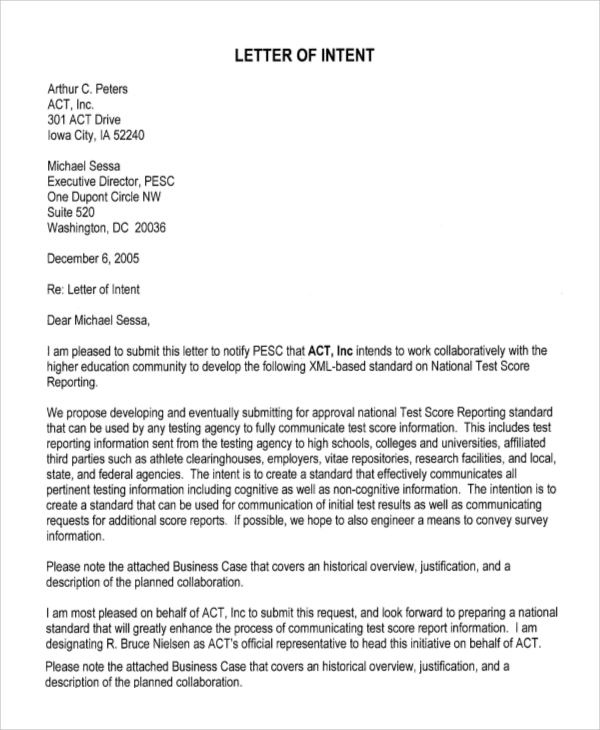 Since Sample Letters of intent could also be a legal document, it must be written with precision. 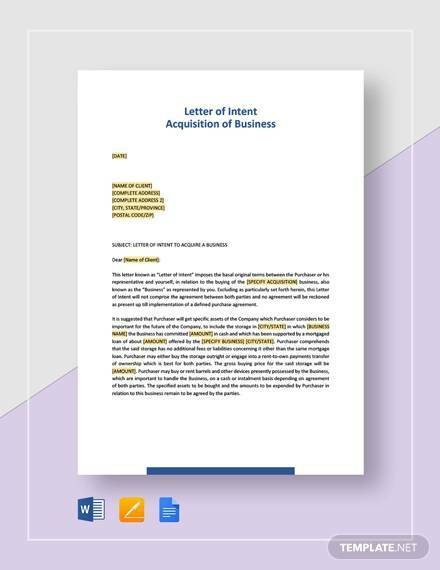 This is a sample for a business letter of intent that can be used for professional purposes by anyone. 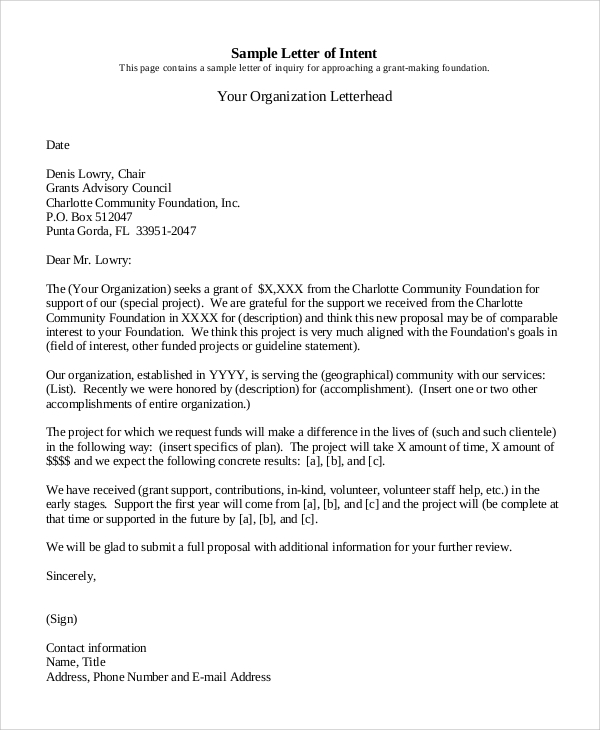 Available in PDF format, this letter of intent can be downloaded easily and printed to be used for professional purposes. For graduate school students, this is a perfect sample for a letter of intent. Students can express their intent on studying a specific course or undergoing a specific research fellowship program. Apart from writing cover letters for job applications, writing a letter of intent can also fetch you good jobs. The letter should be crafted with logical intents for pursuing a job. 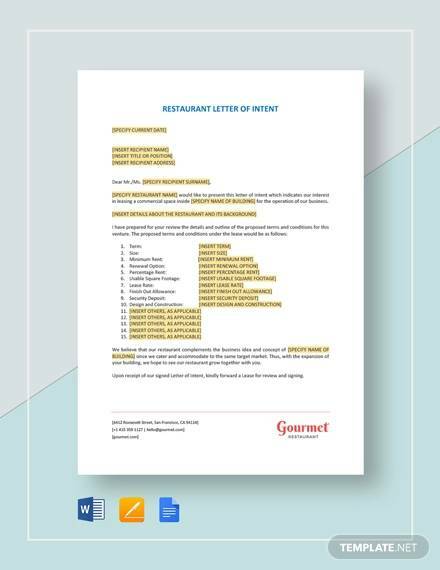 For purchasing a rare collection of products or vintage products or limitedly available products, potential buyers need to write a letter of intent to the potential sellers. For that purpose, using this letter is recommended. 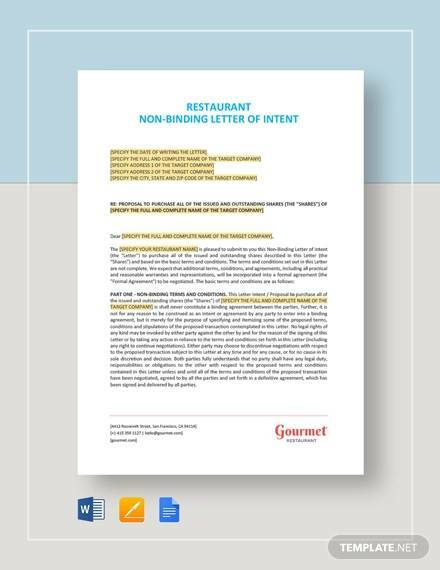 Before engaging in agreement, it is common to write a letter of intent. Writing a letter of intent helps people to create an agreement before creating an actual agreement on paper. 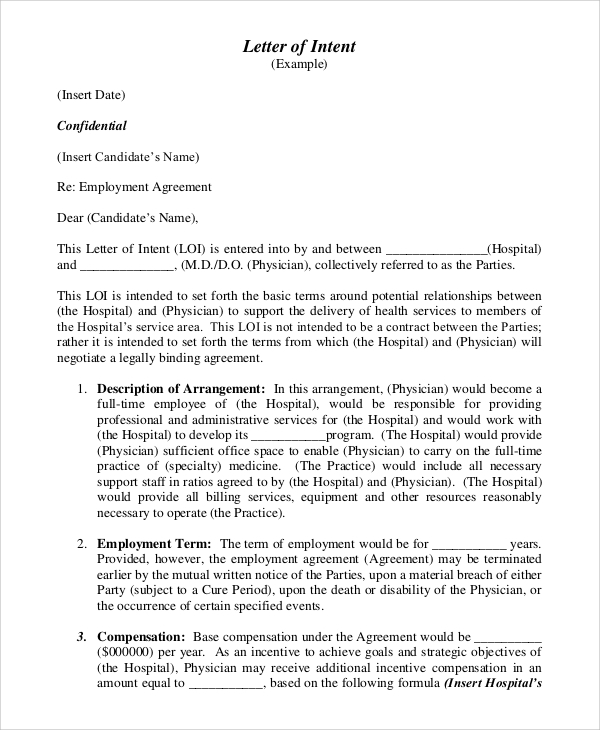 Download this sample for creating employment agreement. 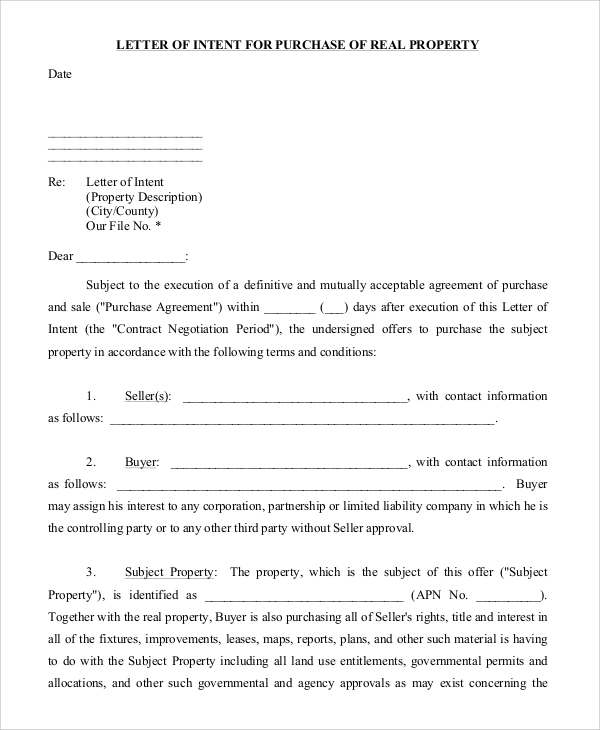 Letter of Intent Samples is used for the purpose of stating the intention on a specific matter. You can create such letters with ease when you use the online samples. 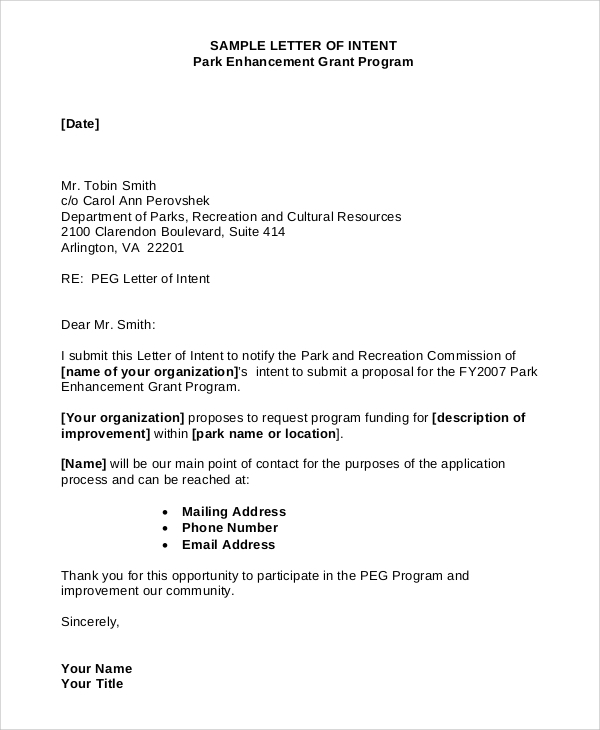 So, what makes this letter so important? 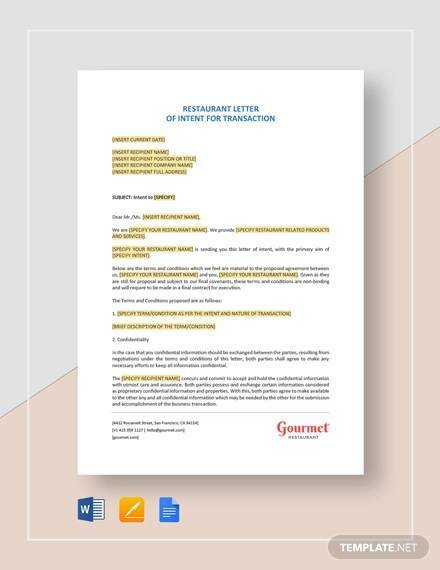 Letter of intent comes with specific terms and conditions. It is typically written before concluding an agreement. Agreement happens between two parties. Both the parties can write a letter of intent to reach mutually agreed terms for creating an agreement. Letter of intent can be used for various other purposes as well. Commonly, it is written by job seekers or students, who want to disclose their intent to the management authority of a company or educational institution. Who Should Use The Letter Of Intent Samples Online? 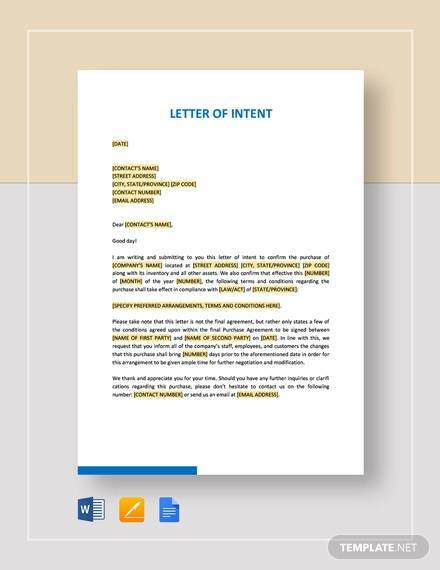 If you do not have an idea of writing a letter of intent, you can always consider downloading the Letter of Intent Formats. These formats will help you to create perfect letters that can be used for any professional or legal purposes. 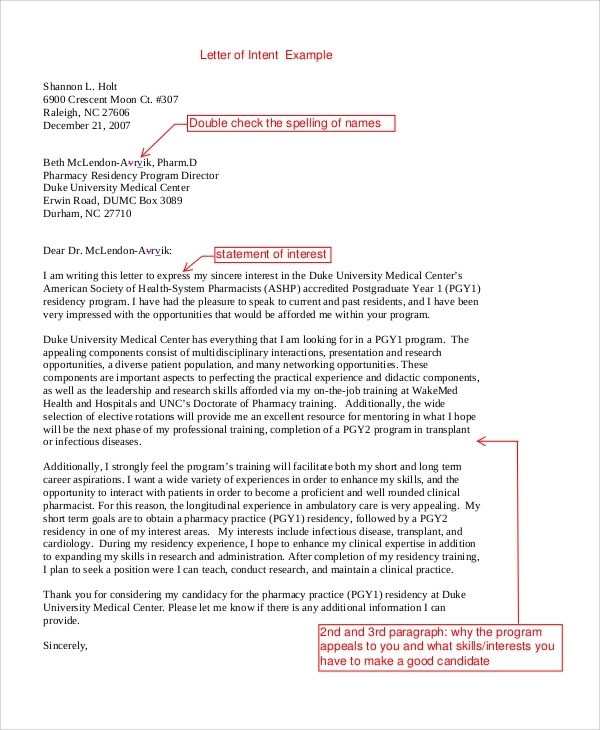 Letter of intent should come with a strong subject line, a well-written body, date, and signature of the writer. These are elementary parts of a letter of intent. Apart from these, some other things are required to be included. The best way of writing a letter of intent is by downloading the available formats online. 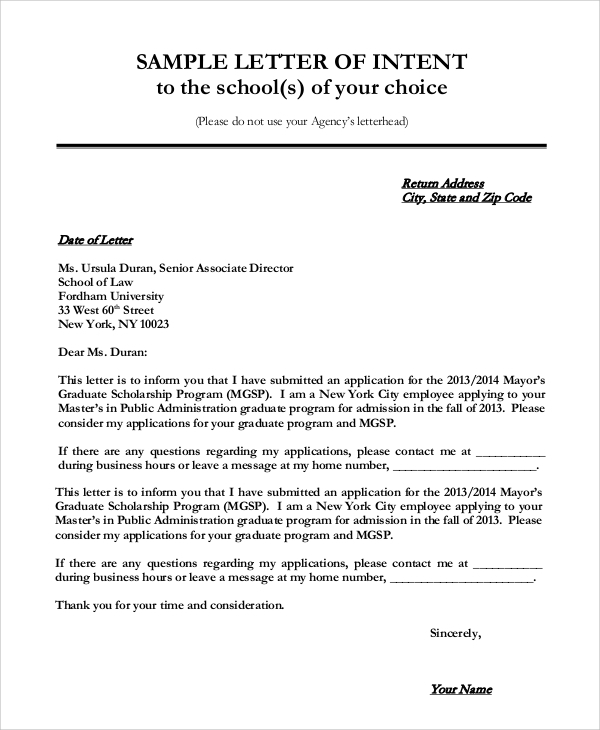 Several types of letter of intent formats are available online. Download them and use for your purposes. If writing a letter of intent seems a difficult task for you, you can always choose to find the online samples. Using the online samples is always helpful as that makes the process simpler and more effectual. Various kinds of Sample Letter of Intent For University can be found available online. Download any of those, and print to use.